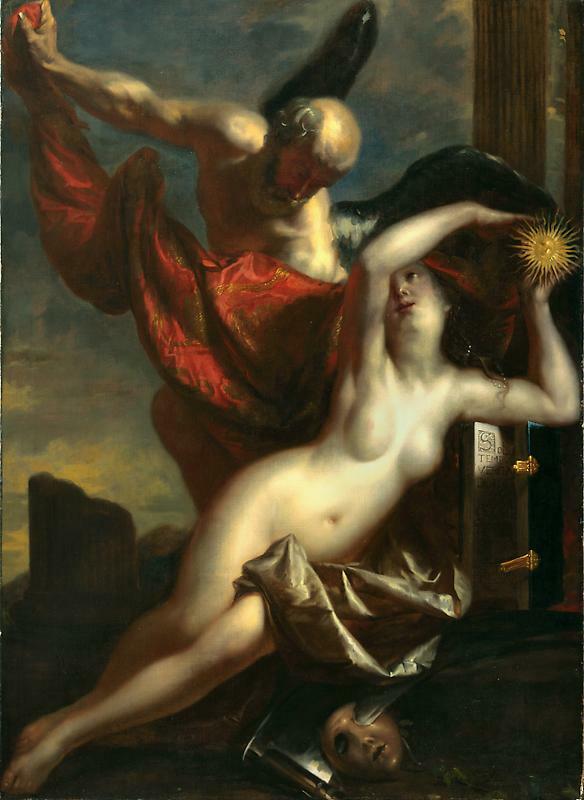 Theodoor van Thulden: Time Revealing Truth, c. 1650 | Vivat! Crescat! Floreat! There is a larger, better known painting by Theodoor van Thulden with the same title, Time Revealing Truth. It hangs in the Hermitage Museum. This one is from around 1650 and 108×149 cm in size. It was acquired by a Californian collector in France in the 1950s and offered, but not sold, in an auction at Christie’s London on July 6, 2011. Prijsen (Amsterdam 1752) lists an anonymous sale on May 6, 1716, in Amsterdam of a painting “Daer de Tyd de Waerheyd ontdekt, van Theodoor van Tulden” for 90 fl. This may well be the painting above.